In case you need WordPress site for testing or small website to start with, forget about hosting fees and providers terms, down size is lack of support, we are here for any question. Of course there is some costs as we all know nothing is really free, but they are minimal like Domain Name - cost $12 a year, IP Address around $3.6 a month. 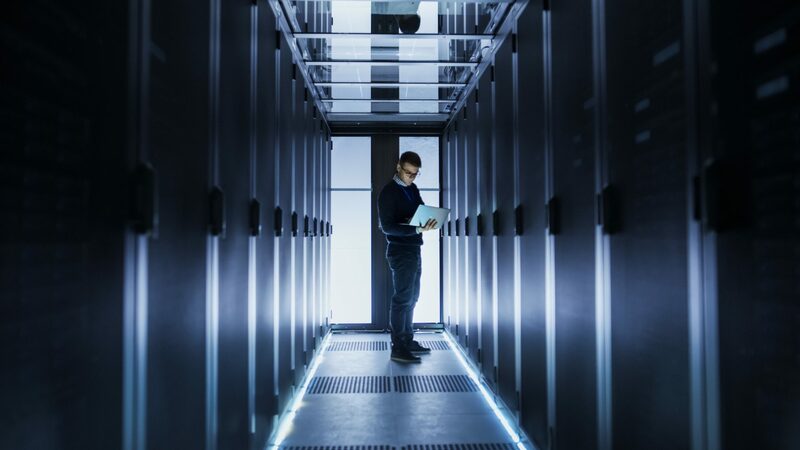 All that can be done with Amazon Web Services - T2 service. Continue to Subscribe. Image 1. Continue to Configuration. Image 2. Change your location if you like, N. Virginia the cheapest, Ohio is the quiet neighborhood, N. California is expensive (local taxes) and stay away from Sap Paolo, click Continue to Lunch. Image 3. EC2 Instance Type: Change EC2 Instance Type -> T2.micro (this is free tier server). Image 4. 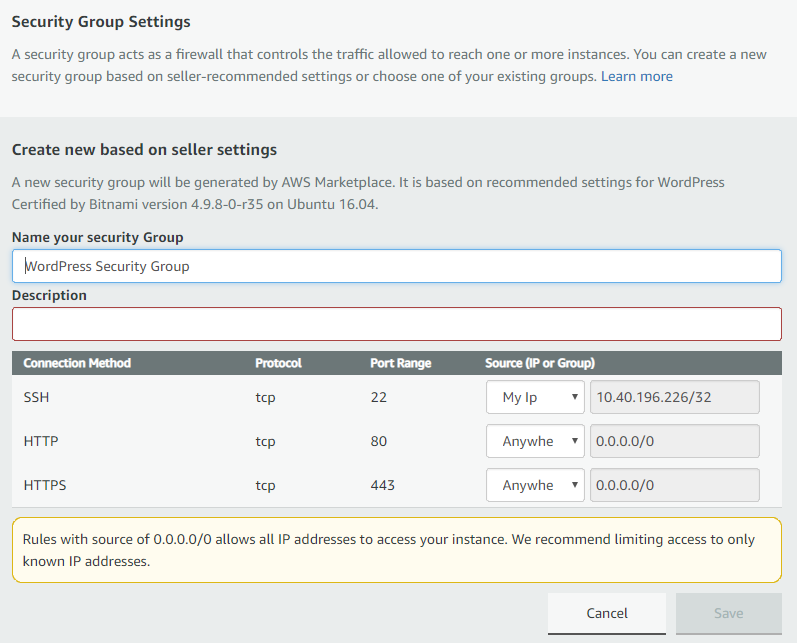 Security Group Settings: Create New Based On Seller Settings -> Change SSH to your IP only. Image 5. Key Pair Settings: Create New Key Pair - Click - Create a key pair in EC2 -> Create Key Pair -> Name your Key Pair -> click create -> it will automatically download KeyPairName.pem -> Go back to configuration click the refresh to see your new Key Pair, choose it. Load the keypair.pem you downloaded (change file type to see all files) -> click OK on Successfully import notice -> Click Save Private Key -> Click OK on password warning. Save your PKK! file you need it to login to server with PuTTY and WinSCP. Go back to your AWS Console , go to EC2 -> on the left panel click Elastic IP -> Allocate New Address -> Allocate -> Save the IP Click close. Click on your new IP, on top click Action -> Associate Address - > Choose your Instance And Private IP -> click Associate -> Click Close. 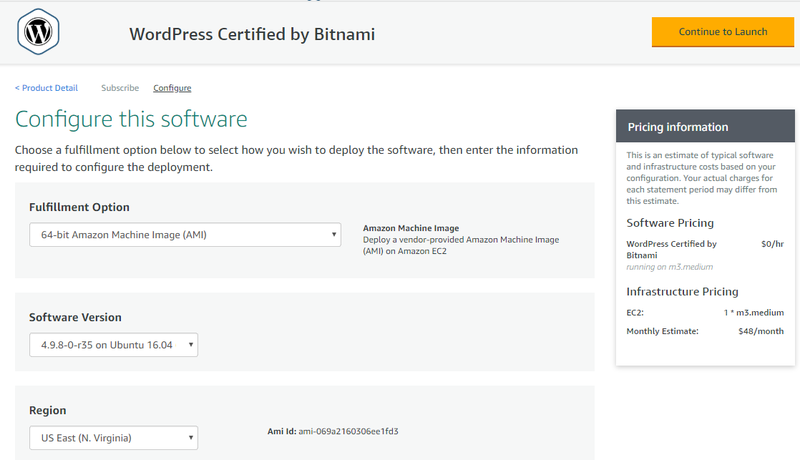 Step by Step - After AWS finish setup. Go back to Instances EC2 page, click your Instance you can see Instance info below, make sure you see your Elastic IP. Save your password, its the only time you can see it, once gone the only way to login is change Admin Password via PHPmySQL! close the window. open new browser: goto your elastic IP you should see WordPress page. login to Dashboars goto: http://yourip/wp-admin user: user. use the password you got from the log. Add plugins needed and content. Security: Click on + next to SSH on the left panel. Click Auth -> browse to your PKK file (the file you generated before). Save it for next time, click open. first time you should get key worning click OK. In Login Screen Click: New site -> SFTP. Make sure you point your domain name to new elastic IP you assigned to Instance!!! Setup LEGO client, it will create and renew your SSL certificate. Edit httpd-app.conf - Bitnami & AWS is protracted setup, instead of editing .htaccess you need to update httpd-app.conf file.